The 2017 Matariki Festival is upon us. The festival marks the dawning of the Māori New Year and will be running until the 2nd of July. This week, we’re celebrating Matariki by showcasing the ADM’s latest Māori design case studies which feature projects from across Tāmaki Makaurau. 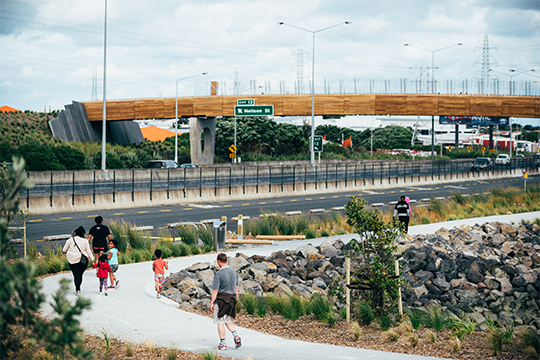 Each of these case studies explores the co-design process undertaken by Mana Whenua and the design team to deliver landmark developments for our city. It’s an exciting time to be living in this city. These case studies represent a new approach to development in which a meaningful dialogue between our two primary cultures is starting to articulate who and where we are – Tāmaki Makaurau, Aotearoa, located within Te Moana Nui-a-Kiwa and looking out to the world. The seven projects showcased below are some of our most exciting private and public projects in Tāmaki Makaurau. Each of these examples celebrate our distinct Māori identity, cultural landscape and mātauranga Māori and help to create a sense of place that is distinctively Tāmaki Makaurau. Auckland Art Gallery Toi o Tāmaki is located on the natural ridge Rangipuke at the edge of Albert Park. 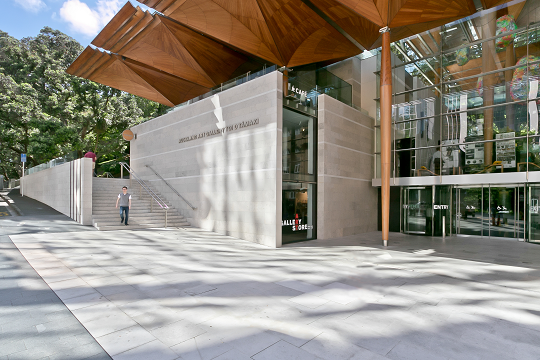 The gallery is one of Auckland’s major cultural facilities. Originally completed in 1887, the building underwent a major renovation in the late-2000s. The project team worked closely with local iwi who, along with senior Māori artists, helped to affirm and articulate the building’s connection to the pre-European cultural landscape. Perhaps the building’s most outstanding element is the artwork He Aha Te Wa by Māori artists Anthony Wilson and Arnold Manaaki Wilson. This artwork comprises three large columns at the main entrance representing the Māori deities Ranginui (Sky Farther), Papatuanuku (Earth Mother) and Tane Mahuta (atua of the forest). The renovation of Toi o Tāmaki is a resounding success and in 2013 it was awarded the World Architecture Festival’s World Building of the Year. The three large columns at the main entrance to Toi o Tāmaki represent the Māori deities Ranginui (Sky Farther), Papatuanuku (Earth Mother) and Tane Mahuta (atua of the forest). The striking form of Te Oro Music and Arts Centre for Young People was more than 20 years in the making. The building’s distinctive architecture references the surrounding landscape and has been designed to appear as three floating canopies supported by a series of timber trunks which create an uru (grove). The building also includes a number of kinaesthetic and audial features, contributed by Mana Whenua, including six sound pieces located around the building . The building itself is incredibly energy efficient, with 256 photovoltaic panels on the roof meeting annual energy requirements. Te Oro is designed to appear as three floating canopies supported by a series of timber trunks. 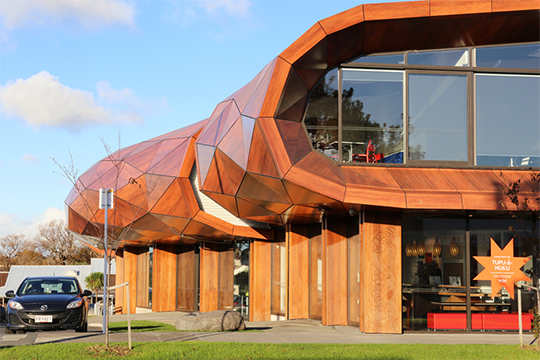 Tōia is a multipurpose community facility in Ōtāhuhu, comprised of a library, swimming pool, recreation and training facility, playgrounds, and more. The name “Tōia” refers to the historic movement of waka through the area and this is referenced extensively in both the architecture and landscaping. The mahi toi (creative features) include waka inspired carvings, wall murals, blown glass and etched glass paneling. 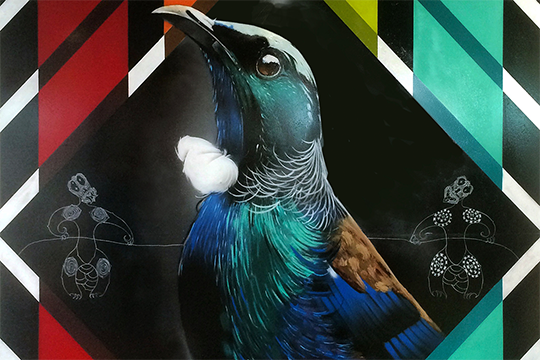 This Rangitira mural in Toia’s reception honours the voices of the tūpuna and rangatira past. 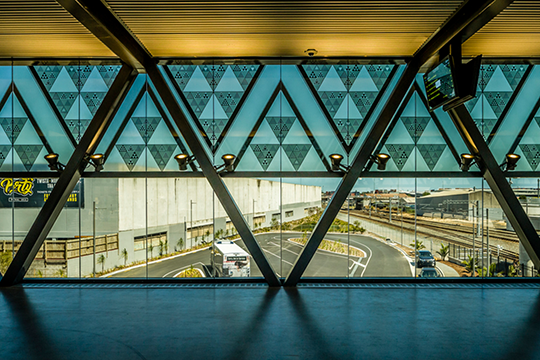 Ōtāhuhu Station, which opened in September 2016, is a high quality transport interchange between South and Central Auckland. Ōtāhuhu was renowned for it’s many waka portages, particularly Te Tō Waka and Te Tāhuhutanga o te Waka Tainui and this heritage was integrated into the overall design of that station. Three key design themes were chosen for the project: Waka & Portage, Maunga (Mountains), and Navigation. The shape and orientation of the building references the shape of waka and the historic portage routes, ‘Maunga’ are vividly expressed in the concrete façade detailing on the face of the building and the field of ‘Maunga Maumahara’, and the theme of navigation is referenced through paving patterns and specific integrated artworks. The station’s Aramoana Window, designed by Māori artist Tessa Harris, references the local waterways, the ebb and flow of tides, and the historic journeys across the isthmus. Set to be one of the most eye-catching developments on the Auckland Waterfront, the design of Commercial Bay was heavily influenced by Mana Whenua. Five iwi groups were engaged during the project’s design phase. The key Māori Design elements resulting from the kōrēro were the use of whakapapa (genealogy) as names for key features of the development, the incorporation of canopies, skylight frits, and artworks expressing Mana Whenua narratives, and the reflection of a traditional Patiki (flounder) in the tower’s form, which will be visible from across the city. 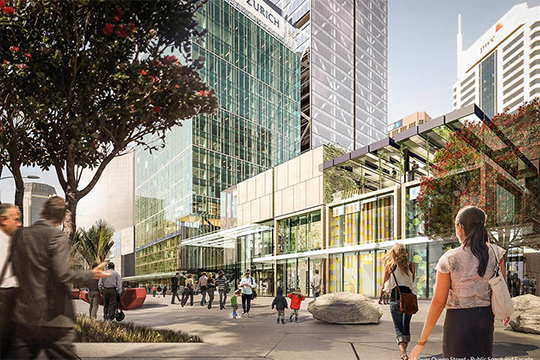 Commercial Bay will be one of the most prominent developments on the Auckland Waterfront. 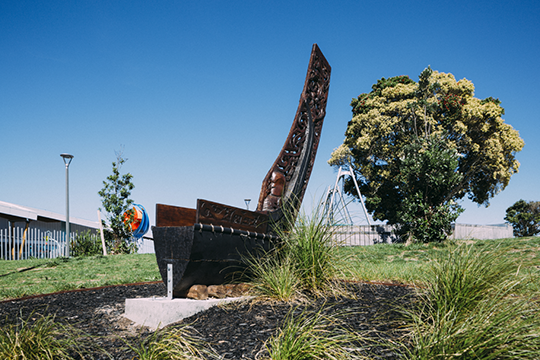 Taumanu Reserve is a new coastal park within the Onehunga Foreshore Restoration Project. The park is comprised of 6.8ha of reclaimed coastal land (you may have noticed it on your way back from the airport) and includes 1.4km of new coastline with sandy and gravel beaches, a boat ramp and turning bay, picnic areas, open space, and various walking and cycling paths. The co-design work undertaken with Mana Whenua resulted in a number of creative features being incorporated within the park, which elevated the overall design. The area was a popular fishing spot for Māori and an unaunahi (fish scale) carving pattern has been etched into Taumanu Bridge’s internal balustrade and the pier upstands. A series of carved timber panels have also been installed as wayfinding artwork within the park. Many of these installations and design overlays work to anchor the park to its surrounding landscape and help to deepen park goers’ sense of place and history. The Unaunahi carving pattern featured on Taumanu Bridge pays homage to the area’s popularity as a fishing spot for Māori. Located within Westgate Town Centre, Kopupaka Reserve balances the area’s urban growth with ecological restoration. 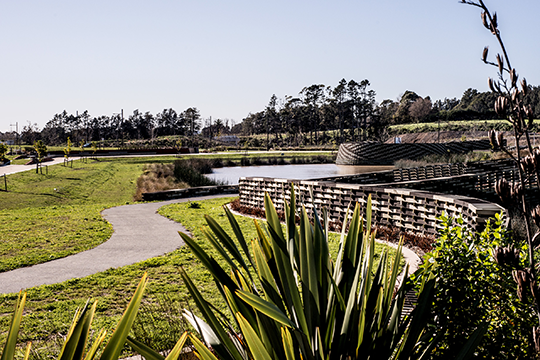 The designers worked with Mana Whenua to design a series of wetlands with crib-walls comprised of interlocking timbers, which pay homage to the activity of rāranga (weaving) and references the architectural form of hīnaki (eel-gathering baskets). The interlocking timbers of the crib-wall reference the historic activity of rāranga (weaving) and the architectural form of hīnaki (eel-gathering baskets). Interested in learning more about Māori Design? The ADM’s Māori Design Hub is a kete of resources, including information on Te Aranga Māori Design Principles, additional case studies, and success videos.